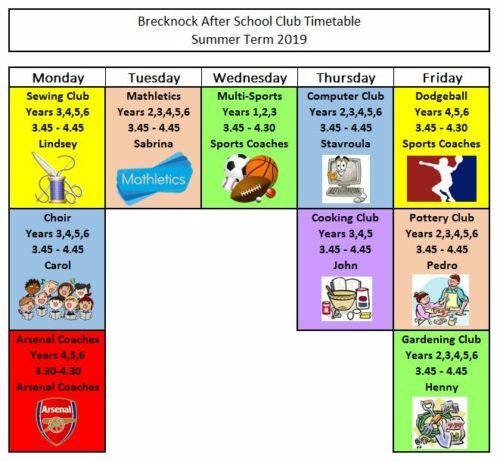 We are linked with several local providers for play centre provision and children who attend these are picked up from Brecknock daily and escorted by an adult. Our children mainly attend Camden Square. You can obtain information about the different providers from the school office. We also run a wide range of clubs at school, most finishing at 4.30 or 4.45. These change termly but registration is organised through the office. Charges vary, but we are always willing to support financially any children who would benefit from the club. Information about the various clubs that are currently on offer can be found by clicking here.